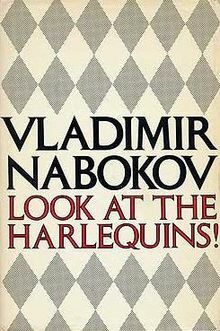 Richard Poirier wrote in a New York Times review of Look at the Harlequins! 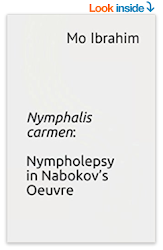 : “After Joyce with his “portrait” of Stephen, after Proust with his “remembrance” of Marcel, there are few reasons to be surprised […] by the complicated interplay between Vladimir Nabokov and the narrator of this, his 37th book. Vadim Vadimovitch is a Russian emigré writer and a mirror image or “double” of Nabokov as man and writer”. Nabokov, Vladimir. Look at the Harlequins!. McGraw-Hill , 1974.